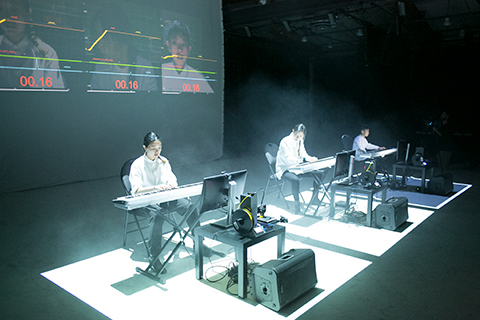 A work of "algorithmic theatre" that incorporates real-time game mechanics, piano pedagogy, 3D-printing, and the poetry of former Foxconn worker Xu Lizhi. As part of fu-GEN’s sweet sixteenth season, we honour the authentic voices of our next generation of theatre artists at the very start of their bright careers. What do the phrases: ‘you should eat,’ ‘don’t stay out too late’ and ‘put on a jacket’ have in common? They’re the first-generation immigrant way of saying ‘I love you.’ Love is embedded so deeply in our words and actions that we forget it’s there. It becomes as much the source of conflict as it is for healing. As estranged sisters Kim and Audrey reconnect after the death of their father old tensions arise, repressed feelings come to a head, and appliances are broken as the fate of the family is left in question. In this wildly contemporary and stylish mash-up, Nguyen uses everything from hip hop to kung fu to tell the story of his parents’ escape to America after the fall of Saigon. Quang is a badass pilot who saved lives during the war but was forced to leave his family behind. Tong is excited to write her own story but finds America isn’t exactly as advertised. A high-octane refugee take on the boy-meets-girl story, Quang and Tong are not your average immigrants in a foreign land. Nguyen smashes stereotypes as he shares the pain and triumph of two warriors forced to find a home in a temporary world. The fifteenth iteration of the Potluck Festival -- the one night culmination of a season's worth of work by our Kitchen creation lab -- takes on an interdisciplinary spin for the second time. Asian Canadian artists from a variety of disciplines create together in the Kitchen and present what they've cooked up along with a literal potluck dinner at the end of our season. Come hungry. In Mixie & the Halfbreeds, two estranged neighbors are not as different as they think. Haunted by peroxide teeth and blondissima hair, Mixie and Trixie tackle a question that has plagued mankind through the ages: do blondes really have more fun? Mixie & the Halfbreeds invites the audience to explore complex and relevant issues of culture, identity, and race, and tackles questions of mixing in contemporary Canadian society and popular culture. Shopping malls become a portal into surreal worlds that carry the nuanced stories of loss and resilience from the Chinese diaspora. This multimedia performance investigates malls as racialized spaces of cultural creation and clash where fashion, food, and commodity tether communities to a vital sense of home. A collaboration between ground-breaking Vancouver interdisciplinary super group Hong Kong Exile and Governor General's award-winning playwright David Yee of fu-GEN Theatre. 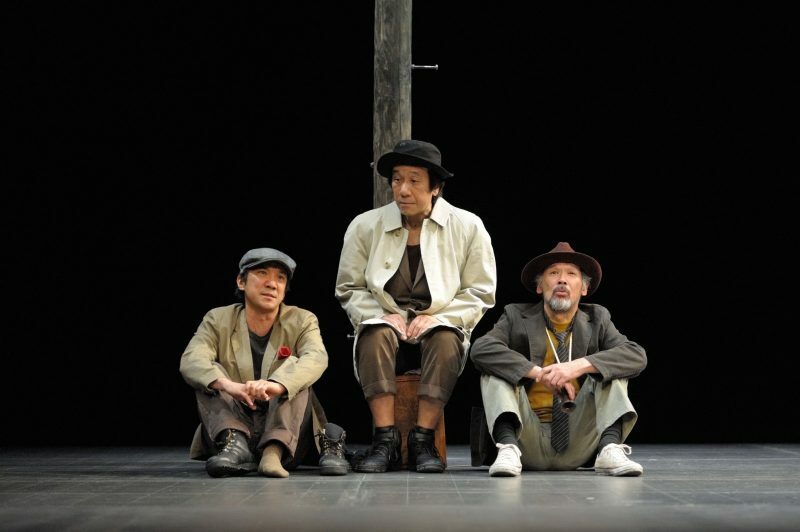 Godot Has Come by Minoru Betsuyaku marks the first American tour of Japan’s celebrated company Theatre Office Natori. What would happen if Godot, the mysterious unseen character in Samuel Beckett’s Waiting for Godot, actually turned up? Written as homage to Beckett, this comic – often slapstick – sequel is performed in Japanese with English translations projected above the stage. K. Kiyama, directs this innovative play by Minoru Betsuyaku, one of Japan’s leading contemporary playwrights. December 9th, 2017 at Factory Theatre. A week-long celebration of female Asian Canadian theatre creators from across Canada. Four creators present new work in development in the form of public readings and performance installations, all directed by women of colour. The week also included masterclasses, long table discussions, panels, a cabaret and our annual Potluck Festival. Walk the Walk featured new work by: Mieko Ouchi, Marjorie Chan, Sophie Gee, and Natalie Gan as well our Kitchen creators Lisa Li, Gloria Mok, Diana Reyes, and Christina Wong. During the festival, fu-GEN also launched The 49, a list of 49 plays by women of colour that can be programmed tomorrow. That list has been circulated to every theatre in Canada, and has since made the rounds in the US and the UK. The 49 can be viewed here. sound engineering and design: alexander punzalan jr. Performed in a hotel, across the street from the audience, this site-specific experimental theatre piece explores themes of voyeurism, power and sexuality. It uses bi-locality to experiment with traditional ideals of theatrical spectatorship and reflects on the impact of community and privacy in densely populated urban areas. Viewers watch the action unfold across the street while tuning in to one of three completely independent narrative audio plays which correspond to that action. All three plays occur simultaneously, requiring three separate viewings to experience each writer’s imagined scenario. video designer: alex punzalan jr.
Durango explores the entanglement of familial obligation and personal exploration through the lives of widower Boo-Seng Lee, a middle-aged Korean immigrant, and his two sons as they take an impromptu and ill-advised vacation to Durango, Colorado. It is the story of a family road trip, of lost dreams and passed on ambitions. The play tackles big ideas: racism, homophobia and generational secrets, in an intimate and specific way. A poignant and heart-wrenching play, the play calls for feats of visual theatricality, while following the tradition of American family dramas such as Death of a Salesman; slowly and subtly drawing us into an emotionally complex and intimately relatable human story.